On March 19, 1998 Atal Bihari Vajpayee, leader of the Hindu-backed BJP parliamentary party was sworn in for the second time as India’s Prime Minister. Though elected on a narrow confidence vote, just six weeks into his tenure the Indian government announced before the surprised nation and the international community that it had conducted three underground nuclear explosions in Pokhran, which would be followed by two more tests two days later. Amidst ecstatic bravado within the party and country, and many denunciations worldwide, India declared itself a nuclear weapon state, and thus, further kicked dirt on the 1970 UN Treaty on the Non-Proliferation of Nuclear Weapons (NPT) which it refused to sign. “Our nuclear weapons are meant purely as a deterrent against nuclear adventure by an adversary,” Vajpayee said of the occasion. The rebuke of Vajpayee’s declaration lagged not too far behind: Pakistan followed India’s lead a fortnight later with tests of its own. Since then, India has come dangerously close to engagement with Pakistan over Kashmir four different times. The country has declared its weapons program “responsible,” despite leading the way for South Asia’s development into a “nuclear flashpoint,” according to P.K. Sundaram, a researcher at the Indian Pugwash Society which studies the conflicts between science and world policy. India brokered a deal with the US two years ago to enable the country to have ’civilian’ nuclear trade – in terms of nuclear fuel, technology, and reactors – primarily with the US, though the country has also invited others to the table. It also managed to skirt inspection by the International Atomic Energy Agency (IAEA), which applies only to the “civilian” reactors and not the “strategic” (bomb-making) ones. This nuclear option in South Asia has engendered a very real regional push-and-pull, as neighboring powers attempt to respond with their own capabilities, and treaties to balance each other and the U.S.
Pakistan countered true to form. Just after May’s UN Review Conferences of the Parties to the Treaty of Non-Proliferation of Nuclear Weapons (RevCon) formally requested India, Pakistan and Israel join the NPT, the Chinese government confirmed that the China Nuclear Power Corporation signed an agreement with Pakistan for two new nuclear reactors. The deal essentially violates the oversight of the Nuclear Suppliers Group (NSG), the body that oversees non-strategic trade – which forbids nuclear transfers to countries that are not NPT signatories. The Obama administration has chosen to firmly oppose the Sino-Pak deal when it comes before the NSG this week. This puts the U.S. in a difficult position. 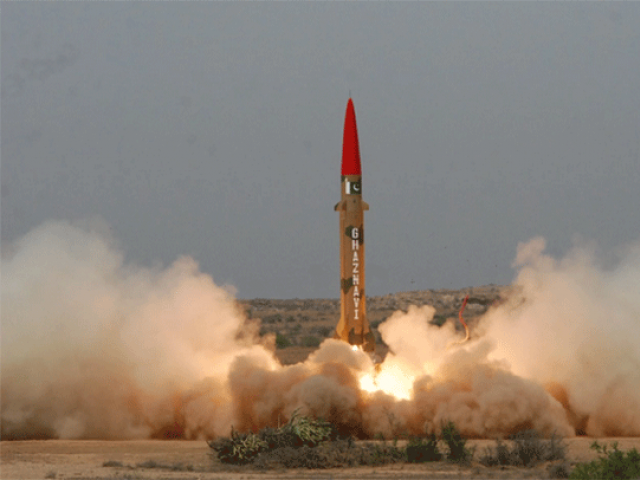 “China supplying nuclear reactors to Pakistan is more a strategic move than a commercial one, sort of a mirror image of the US move in the context of the nuclear deal with India,” says Sukla Sen of the India-based Coalition for Nuclear Disarmament and Peace. According to Sen, under the George W. Bush administration, the U.S. wanted to build up India as a tactical counter to China and other potential challengers in the region such as Russia or Iran. “Commercial benefits would be an icing on the cake.” India’s nuclear enrichment pact with the U.S. in 2008 evoked strong displeasure from China, however, which views Pakistan an important asset in countering India. According to the Wall Street Journal Asia edition, it induced Beijing to send the message that if Washington played favorites, it would as well. “There is news that Pakistan is improving its weapons and increasing its stockpile. It is also believed that after the deal, India can use its domestic uranium for more bombs, while it uses imported uranium for its civil reactors,” Sundaram says. “So concretely, South Asia is entering deeper into abyss. As recorded by Pakistan’s nuclear patriarch, Abdul Qadeer Khan, the Sino-Pak nuclear relationship is likely the only case in which a nuclear-weapon state, despite its signing of the NPT, has given weapons-grade atomic material as well as a bomb design to a non-nuclear-weapon state. Once upon a time, Islamabad sought a similar nuclear pact with Washington along the lines of the India deal. However, the Bush administration made it clear that given Pakistan’s unfavorable nuclear proliferation record – and its alliances – it didn’t trust Islamabad to play it straight. “We have an ambitious agenda with India. Our agenda is practical. It builds on a relationship that has never been better. India is a global leader, as well as a good friend,” said former President George W. Bush upon his visit to India in February 2006 after pandering to Pakistan during the war in Afghanistan. “We’ll work together in practical ways to promote a hopeful future for citizens in both our nations.” Needless to say, both Pakistan and China felt jilted. “The chickens are coming home to roost,” Sen says of the current situation. What will make the feel-good return? “Before its own nuclear tests, India used to take a radical peace-disarmament position internationally. It used to call for comprehensive disarmament and to protest the current global order that is divided between nuclear haves and have-nots.